Above photo: Shayla Rivera is pictured during a comedy tour in Iraq. When one hears the words “rocket scientist,” a certain image often comes to mind — that of an older man in a white lab coat, beaker in hand. But it’s 2017, and that stereotype is fading away thanks to people like Shayla Rivera. Rivera, or as her name appears on caller ID “the funny rocket scientist,” is an aerospace engineer, motivational speaker and standup comedian. 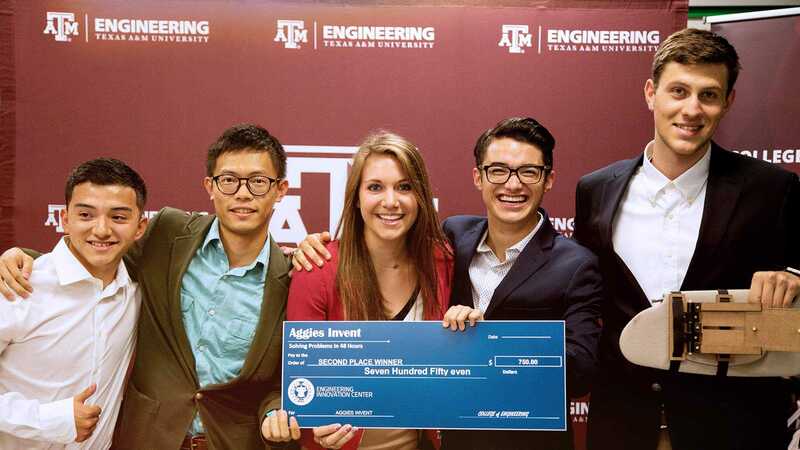 She’s also a professor of engineering practice and the new director of Texas A&M’s ENGR[x] . 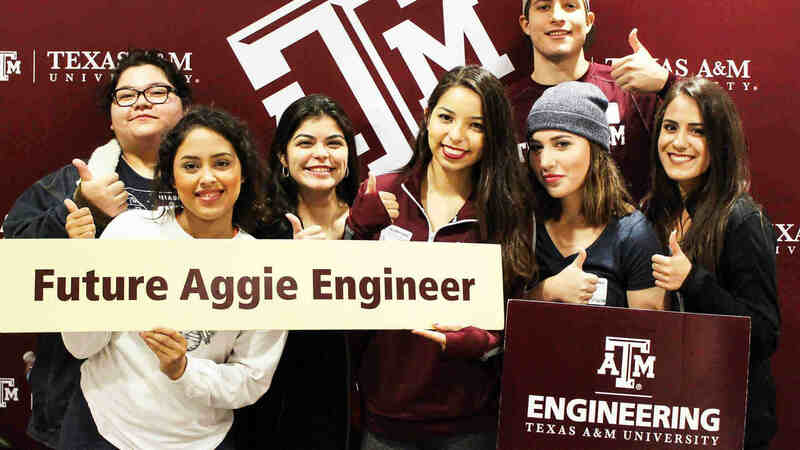 ENGR[x] is a new initiative within Texas A&M University’s College of Engineering that tracks the many ways engineering students go beyond what is required on their syllabus to become the most well-rounded, highly sought-after candidates after graduation. “It’s like adding show business to engineering,” Rivera said. It was 1979 when Rivera first set foot on the Texas A&M campus as an aerospace engineering student, completely unaware that she was a trailblazer for women. Having recently moved to the United States from Puerto Rico, Rivera said she was so focused on learning English her freshman year that she hardly noticed there weren’t many other female engineering students in her classes. By the time she graduated in 1983, only 29 women had graduated from Texas A&M with aerospace engineering degrees. Despite the culture shock, Rivera said attending Texas A&M was the best decision she ever made. When Rivera graduated, she landed an aerospace engineer’s dream gig — a job at NASA. Her team was in charge of plotting the footprint on Earth where the solid rocket boosters could be found and retrieved by the U.S. Navy. She later moved into software development and helped create simulation software for the ascent and entry for mission control center operator training. Eventually, she made her way to Arizona where she worked on the pilot night vision system for the Apache helicopter before working with the International Space Station assembly research allocation database. During her time at NASA, Rivera said she realized she was very interested in “the human side” of science. “I was always observing people,” she said. When Rivera left NASA to work in environmental sales, this enabled her to tap into her passion for working with people. “Sales training really opened my eyes to the importance of motivation and I was totally hooked,” she said. Rivera said she wanted to be in a position where she could help people reach their potential, and leading seminars and motivational speaking did just that. It didn’t take long for people to start remarking on her humor, telling her she should be a stand-up comedian. Rivera will be featured on an HBO Latino comedy special soon. Rivera’s positive outlook and charisma no doubt led her to her current role. As director of ENGR[x], where she will be overseeing a collegewide endeavor to further set Texas A&M engineering students apart from other graduates. The program requires all engineering students (beginning with incoming freshmen this semester) to go beyond the core curriculum in engineering and add high-impact activities that help students develop the professional skills and attributes that will set them apart from the rest. These experiences range from study abroad trips, internships and leadership positions to acts of selfless service and participation in entrepreneurial activities. Colleges and universities nationwide, together with employers and entrepreneurs, have studied and recognized the need to broaden a student’s college experience to be better prepared for their professional lives. ENGR[x] seeks to provide these experiences and track each student’s “x factor” through their college career.